Laos ran a successful Visit Laos Year 2018 campaign to attract tourists from around Laos and other countries, which saw visitor numbers increase significantly compared to 2017. THE frequency of Lao and Thai people visiting each other’s country will increase, and so will the growth of trade and cooperation in product development. The Ministry of Education and Sports and the World Bank have strengthened ties and renewed cooperation in improving standards and outcomes in Laos’ education system. The government cabinet yesterday debated the drafts of two new laws and amendments to two existing laws, at an extraordinary meeting convened for February. Warm welcome as the arrival of eleven Japan Overseas Cooperation Volunteers from JICA takes Japan International Cooperation Agency past the one-thousand milestone in Laos. What can we do to protect ourselves on-line? Social media today is a lot like a big warehouse where you can go to trade ideas and information as well as meet new people. 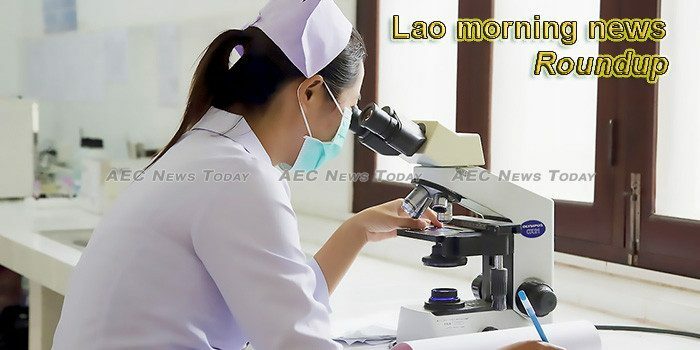 This week’s Lao morning news feature photo acknowledges International Day of Women and Girls in Science February, 11.